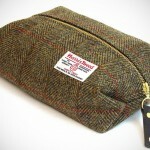 modern washbags, however attractive they are, still adhere to the same bag design concept of top zipper approach, which in our humble opinion, does little to help in organizing. 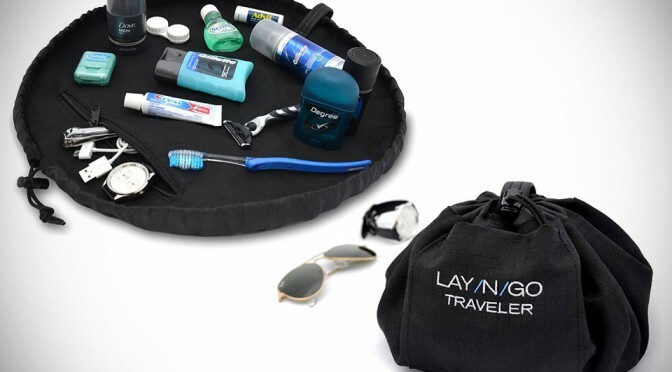 if stuffing shaver, toothpaste and stuff into this miniature bag proves to be a chore for you, then we suspect the Lay-N-Go Traveler Washbag might be the answer you have been looking for. made of durable poly denier inside and out, the Lay-N-Go Traveler uses a nylon draw cord and cord lock system to enable the bag to be laid out (hence the brand name) completely so you can have access to all your toiletries without hindrance – all from a dish-like form and when you are done, all you have to do is draw it up, lock it and you all set for a quick getaway. 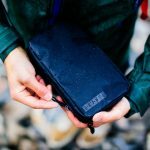 a thoughtful “lip” surrounding the opened bag prevents the contents from slipping out and a velcro front storage pocket provides a nesting place for the drawstring, eliminating chances of it getting snag among your other things. also incorporated into the Lay-N-Go Traveler is a 7″ by 5″ internal zippered pocket for other smaller items like nail clipper and the likes. 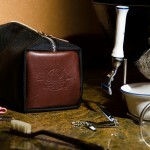 the bag is completely machine washable too, so you need not to worry about those inevitable smudges from your shaving cream or whatever. 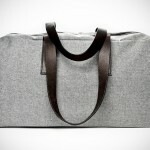 at $29.95, it is not exactly cheap for a nylon washbag, but its purpose and functionality far outweighs the price. if you are determined to make packing toiletries a thing of past for your future travels, the Lay-N-Go Traveller washbag is the way to go. Previous PostBang Bang Colorful Solar-powered TentsNext PostLeather Wallet with iPhone 5 Case by Danny P.